If you are visiting Tokyo soon and if you like cute, keep this list handy. 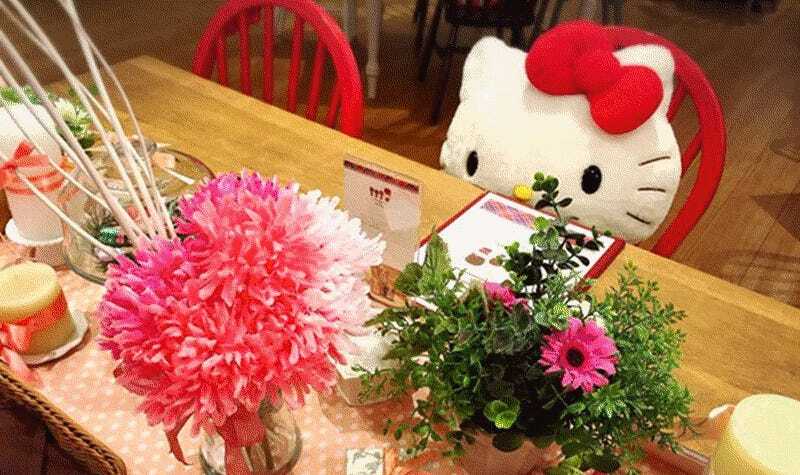 Because here are some, certainly not all, of the most kawaii places to eat at. In Japanese, the word “kawaii” (可愛い) is typically translated as meaning “cute.” It’s important to note that the Japanese word “kawaii” literally means “capable of affection” or even “possible to love.” In its original parlance, this is why the word is readily used with babies, puppies and kitties as well as clothing one would hardly call outrageous. But there’s also the KAWAII that most Westerners think about when they hear the word. That is the hyper cute imagery that comes out of Japan. Sure, cat cafes are cute, but the cafes we are looking at today are mostly character based. As pointed out on Naver, some of these are temporary, and if so, I’ve noted the dates that they’ll be open. If there are any cute cafes I’ve missed, feel free to put them in the comments section. Top GIF via s3ky9, enagamelon, omotesando_info, and TIPSY_Girls.